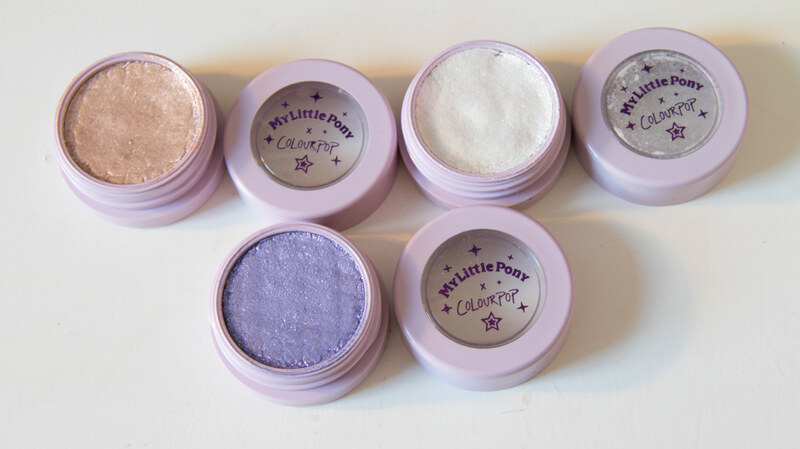 If you follow me on Instagram, you would’ve seen that I recently bought a few of the items from the ColourPop x My Little Pony collection. I usually avoid ordering from ColourPop because of import fees, but I couldn’t resist in this case. As soon as I got the email notifying me that this collection was in stock, I had to order some right away! My Little Pony was a big part of my childhood and I just had to have some of these items. I love my Super Shock Shadows that I bought many months ago and knew the quality of the products wouldn’t let me down. I love everything about this collection but the packaging is what stands out the most – I don’t think I can bare to part with mine! 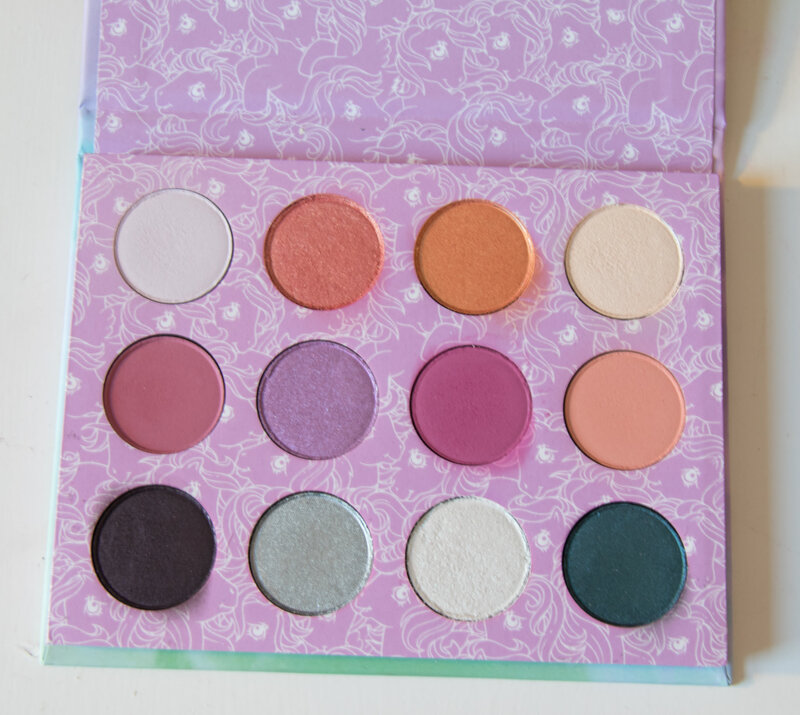 When I received this palette, I was a bit concerned that I wasn’t going to be able to create full looks by using this palette solely. This is something I look for when I buy palettes because I’m too lazy to change between loads of palettes for just one look. However, I was pleasantly surprised that I could create lots of vibrant and creative looks with this, paired alongside the Super Shock Shadows. Butterscotch is a white shade with a subtle violet sheen which is great as a base shade. As for crease colours, I found I could use the matte colours with a light hand to build up colour in the crease without it looking too harsh. The shimmery colours are all very pigmented and are best applied with your fingertips. Overall, the colours lasted well on my lids and stayed bright all day without creasing. This has become my new favourite palette! My only gripe is that I wish they had put the names under each shade instead of on the back. Out of everything in this collection, these are my favourite. 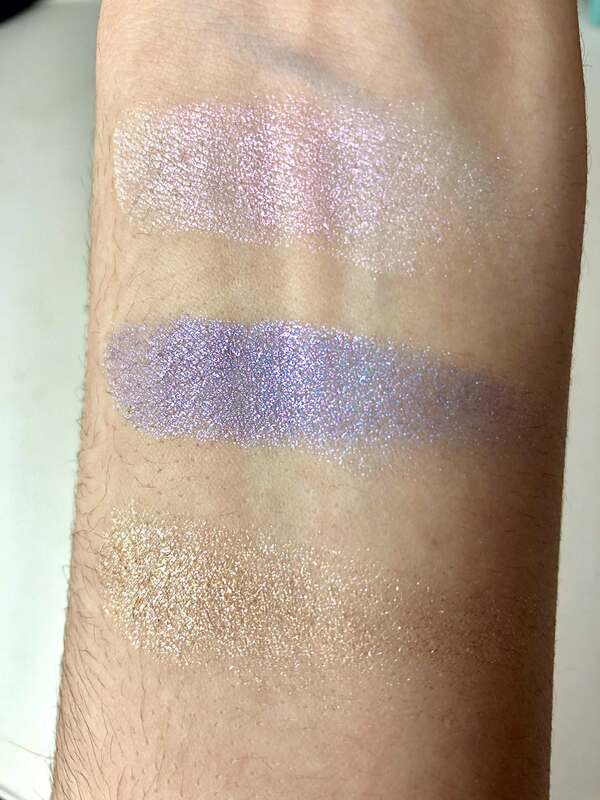 When I first swatched these, I was a bit overwhelmed at how glittery these were and wondered how I was going to wear them. The swatches don’t give these shadows enough justice, I wish I could give you a better look at them. These aren’t your average shimmers, they have chunky glitter in them which serves them well! Like all Super Shock Shadows, these are best applied with your fingertips. I like to finish my eye look by using these as a topper for my already shimmery eye. It gives it an extra pop and the glitter looks beautiful on the eye. However, when applying these there is a lot of fallout so you need to do your eyes first if you’re going to use these. Altogether, if you’re a glitter fan, you definitely need these. When I bought these online, I wasn’t sure about the colours because knowing Colourpop’s quality, they were going to be pigmented. I wasn’t wrong. 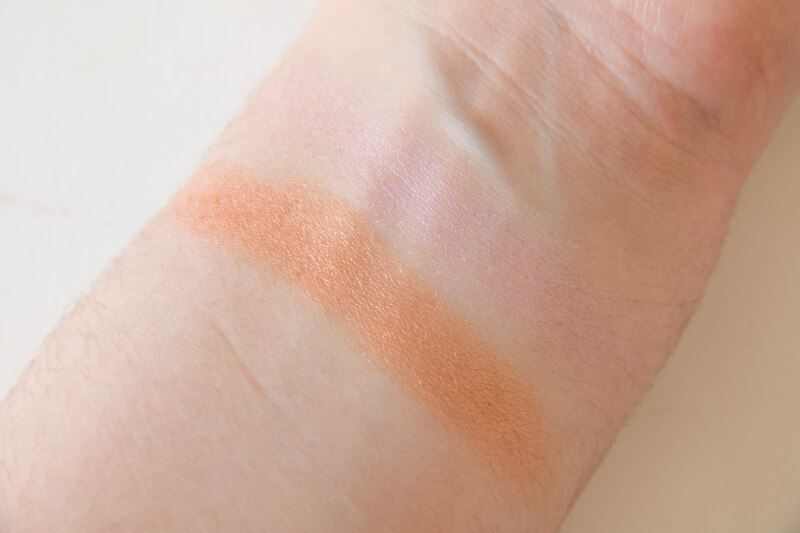 When I swatched these, I was a bit intimidated but they aren’t as pigmented on the face as you would imagine. ‘Trickles’ is a lot less obvious than expected and I like to use a bit of Mac Fix+ with this to top my highlighter I already have on (extra!). Because of my skin tone, I’m a bit scared to use ‘Starflower’ because I tend to stay away from golden highlighters. 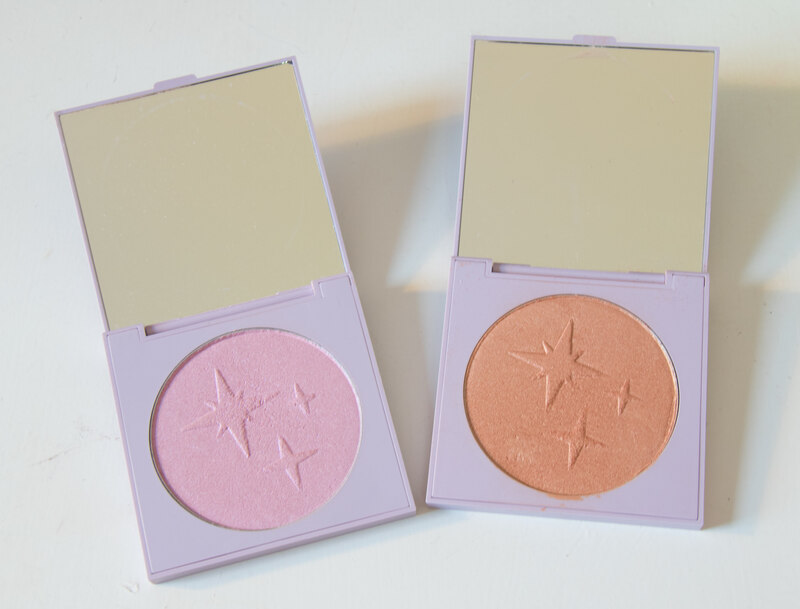 However, I think if you’re going for a radiant or colourful look, these highlighters would fit in well. Personally, I won’t be reaching for these much. Out of the three colours available in this collection, this was probably the most wearable. Moondancer was a close second but I already have dark liquid mattes in my collection but no bright pinks. 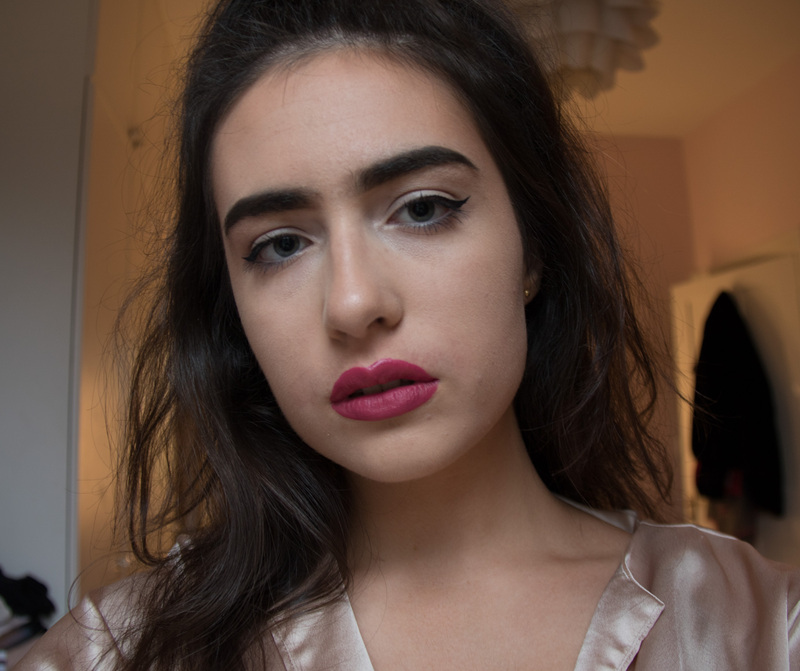 A red is as vibrant as I go in regards to my lip colour choices, but I was eager to try out something different. 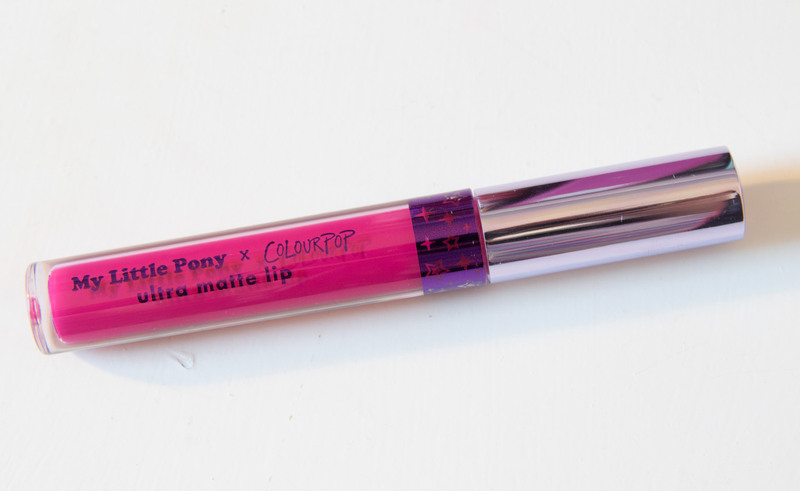 I was a bit apprehensive because liquid mattes that aren’t whipped usually dry out my lips quite badly. Surprisingly, this wore very comfortably on my lips and I really thought that the shade suited me. 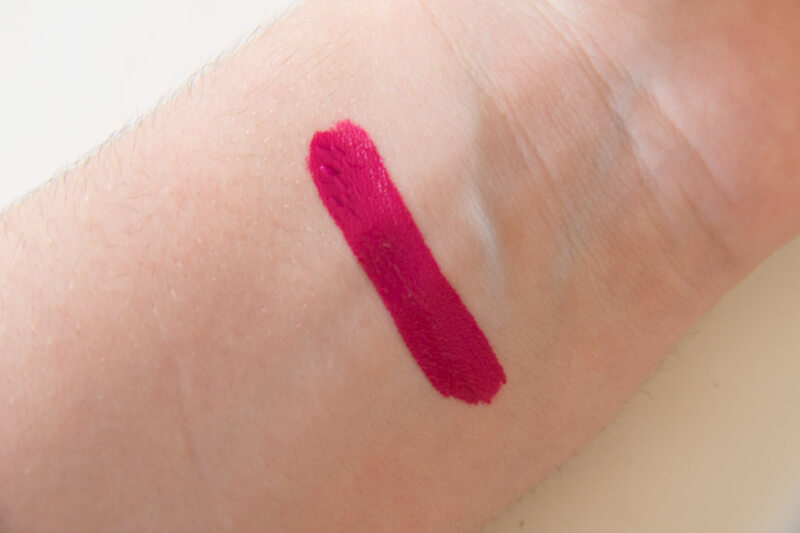 As you can see from the swatch, the formula is very opaque and didn’t not appear patchy on the lips. Obviously the shades in this collection might not appeal to you at all, but this is a thumbs up that ColourPop liquid lips are comfortable. This collection is definitely a novelty and is very bold all around. If you only wear neutral looks, then I don’t need to tell you this collection isn’t for you. My favourite products in this collection are the Super Shock Shadows as I just think they give any eye look that extra bit of glam in such a delicate way. I must add that Cherries Jubilee did arrive damaged, but luckily the shadow’s formula allows you to repress the product just with a paper towel and no alcohol involved. However, I don’t blame ColourPop for this, as they did have to travel all the way from America to get here! I think with a collection like this, it’s very much aesthetically pleasing to look at and that probably one of the main reasons you’d consider purchasing – I know it was mine! Overall, ColourPop’s quality is generally very good and I don’t think you can go wrong with anything in this collection if bright colours are your thing.